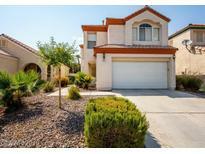 Below you can view all the homes for sale in the Polo Greens subdivision located in Las Vegas Nevada. 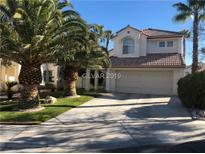 Listings in Polo Greens are updated daily from data we receive from the Las Vegas multiple listing service. To learn more about any of these homes or to receive custom notifications when a new property is listed for sale in Polo Greens, give us a call at 702-323-5933. Your backyard is the greenbelt (w/your own entrance) * chef's dream kitchen w/granite counters, massive island w/built-in beverage fridge, pot-filler faucet, & under-cabinet lighting * Custom silk draperies * Portrait lighting T/O * Skylight * Plantation Shutters * Custom Build-Ins * Mstr bd w/den/retreat/office, Steam Shower, Claw-foot tub, custom closet - too many upgrades to name! MLS#2075506. Redfin. Don't miss out on this gorgeous home. MLS#2076733. Urban Nest Realty. Seller will contribute $6,000 towards buyers closing cost. MLS#2059892. Las Vegas Realty LLC. A great vibe in the Peccole Ranch neighborhood*close to library,schools,movie theater/restaurants/ Downtown Summerlin & Red Rock.Gorgeous 3 bedroom+large master retreat with 2 way fireplace *Walk in closet*2 tone interior paint*Kitchen with island*granite counter-tops*large tile floors*vaulted ceilings* separate laundry room*Extremely manicured landscaping MLS#2019457. Show Vegas Realty.